Whether it's a casual workout, yoga or a busy day, this ultra lightweight t-shirt won't let active women down! 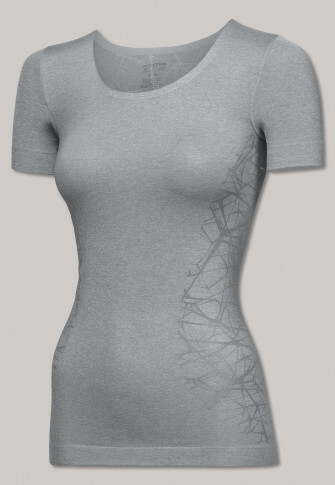 The seamless material doesn't feature any annoying side seams and ensures a well-balanced body temperature thanks to its breathable, fashionably patterned mesh inserts. Thanks to its ultra flat bonding technology, the shirt features seamless manufacturing and welded seams along the collar. An absolute fitness favorite in the best SCHIESSER quality!